Among the large-caps investors can focus on select stocks from sectors like banks, select pharmaceuticals, IT services, metals & mining, and oil & gas, said the report. Market is expected to remain volatile in 2019 led by factors such as developed market slowdown, US-China trade fears, Brexit, domestic elections, movement in oil prices. Given that, it would be ideal to have a bottom-up approach, pick good quality, beaten-down stocks from respective sectors, Kotak Securities said in a note. To weather the on-going volatility which may persist till the middle of CY19 (i.e. till general elections), it is ideal to have higher allocation into high earnings growth largecaps and in midcaps with strong management pedigree and reasonable valuations. 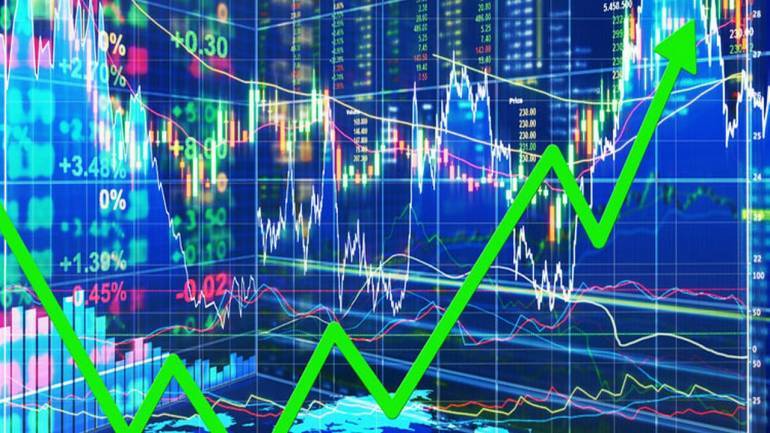 Among the largecaps, investors can focus on stocks from sectors like banks, pharma, IT services, metals & mining, and oil & gas, said the report. Among midcaps, one can focus on stocks from sectors like capital goods, construction and auto ancillaries, it said. Nifty's valuations look reasonable when viewed against recent historical valuations of ~18-20x on a forward PE basis. According to Bloomberg consensus estimates, one-year forward PE of Midcap Index has now come down to 15.2x and compared to 17x for Nifty50. “We feel the froth and overvaluation in the Midcap space has come off sharply due to the underperformance vis-à-vis Nifty. We feel there is a very high probability of mid & smallcaps outperforming the largecaps in CY19,” added the report. For this to fully materialize in CY19, we need earnings recovery and a clear mandate or a single party led coalition government at the Centre. The scope of valuation re-rating remains very high in a host of mid & smallcaps provided earnings stay in line with estimates. On a 1-year forward basis, MSCI India is trading at 17.5x versus 11.9x of MSCI Emerging Markets. At present, the premium of MSCI India over MSCI EM is 48 percent as compared to the 10-year average of 40 percent. HDFC Life reported 41 percent growth in new business premium and 29 percent growth in overall premium in 9MFY19. The company increased its protection business to 17.3 percent of annual premium equivalent (APE) in 3QFY19 from 11.3 percent in 3QFY18. Individual protection contributed to about 48 percent of protection APE in 3QFY19, of the balance 95 percent was credit protect and 5 percent was group protection. "We expect HDFC Life to deliver overall VNB margin of 24-25%. HDFC Life will trade at 3.4X EV at our appraisal value-based price target," said the note. With most medium-term trends on track i.e. increasing share of protection business, stable persistency, and positive variance in mortality, Kotak retains positive stance and roll over our fair value to Rs.435. Kotak Securities expect LIC Housing Finance to deliver 17 percent loan book CAGR over the next two years, a tad higher than current growth of 16 percent. Lower competition from other Housing Finance Company (HFC) and stabilization in overall real estate markets, coupled will lower interest rates will help inch up core growth for the company. The domestic brokerage firm slashed its estimates by 3-6 percent to reflect marginally lower NIM and regrouping of other income. Post our revision, Kotak expects the company to deliver 17 percent CAGR in loans driving 17 percent earnings CAGR during FY2019-21E and 16-17 percent medium-term RoE. Bharat Electronics is uniquely positioned to benefit from India’s defence modernization and indigenization. Kotak Securities modeled order inflows over the next three years based on recent approvals worth ~Rs250 bn given by the Defence Acquisition Council in BEL’s core areas, but it expects 20 percent CAGR in indigenous defence production over FY2020E -30E led by higher budgetary allocation to defence capex and reduction in import content. Kotak Securities expects the domestic production of LPG to record a CAGR of 5.2% over the next 12 years to FY30 at 25 mmtpa, while demand is estimated to grow at 6.5 percent CAGR to 50 mmtpa. This mathematics suggest that India would have to import 25 mmtpa of LPG by 2030 at an implied CAGR of 6.8 percent. The brokerage firm values Aegis using a DCF methodology, assuming a WACC of 11 percent and a terminal growth rate of 5 percent to FY30. The CRAMS business is the bread earner for the company and has grown strongly over the last three years (CAGR 9 % FY15-18). This business has established a new base with the help of an increased number of projects in phase II and Phase I coupled with commercial/ pre-commercial supplies from FY14 onwards. Kotal Securities likes Suven for its high margin profile (EBITDA margin of >30 percent and net margin of ~20 percent). After a soft FY19, Kotak expects earnings to grow by 25-30 percent in the next two years. The Company shows steady return ratios of 22-25 percent ROIC and 18 percent ROE. Surya Roshni is India’s second largest player in the lighting industry with dominating presence in tier-ii/iii cities and rural areas. Various welfare schemes, introduced by the Indian government and rural electrification drive could potentially benefit the company’s operations going ahead. Kotak tends to believe that this will help Surya Roshni outpacing industry growth over the next few years. As per management, though at the nascent stage, the company has been exploring the potential benefits/opportunities that can be achieved by the demerger of these two unrelated businesses. “We believe that the corporate action would likely provide an enhanced focus on both the businesses and narrow the valuation gap of the B2C business vis-à-vis peer group,” said the report.